Got out of the show and noticed the color of the sunrise. 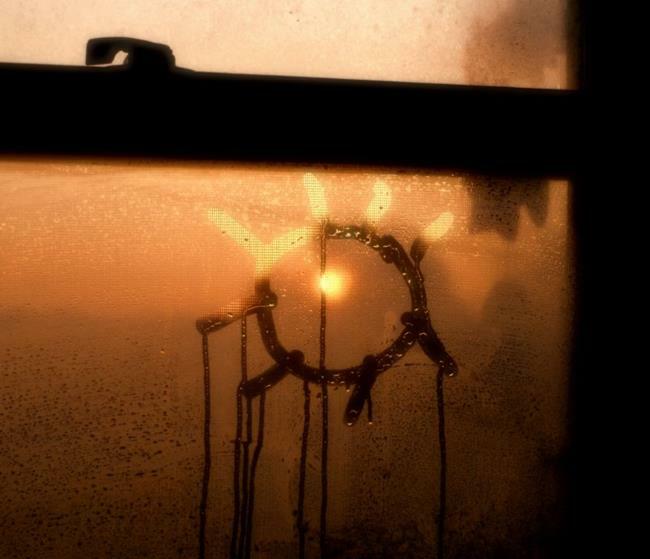 Used one of my favorite drawing utensils (my finger) and make my own sunrise in the steam. Photo shot with a Sony A200 DSLR.